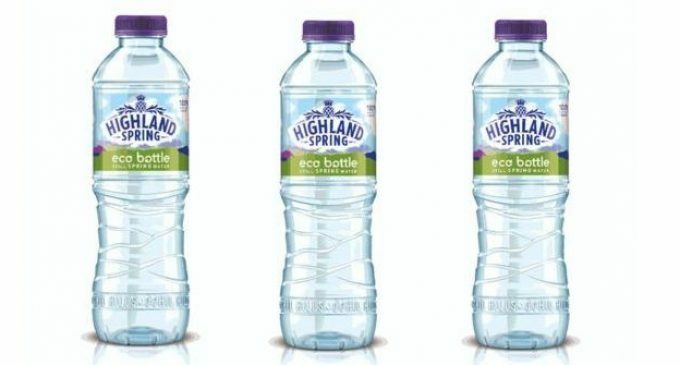 Highland Spring, the UK’s largest supplier and producer of natural source bottled water, has responded to popular demand by making a 100% recycled and recyclable plastic eco bottle a permanent hydration choice in 2019. Following a hugely successful 2018 trial, the Highland Spring eco bottle™ will be rolled out nationwide. The eye-catching label will feature a burst of green and a ‘100% recycled plastic bottle’ message to help people understand more about recycled and recyclable plastics. The new eco bottle joins the existing Highland Spring natural source water range, where all bottles are already 100% recyclable. The move marks a significant milestone in efforts to help keep plastic in the circular economy. With shoppers expressing a significant desire for more eco bottles at trial stage, the launch will be fol-lowed by more 100% recycled and recyclable plastic eco bottles later in the year. These include a new Highland Spring Kids eco bottle, designed to help young people understand more about healthy hydration and responsible recycling. The bottle will be available from May. • Six in 10 consumers claim they would be happy to spend more on the eco bottle, with the ma-jority believing a 5p increase would be fair.